The folks at Blackberry have done a pretty good job when it comes to update BBM and introduce new features. Recently, the company release BBM Voice and BBM Channels for their Android and iOS app, which was previously available on Blackberry devices only. It seems these were not the only features that will make their way to the instant messaging app. According to an official blog post, BBM Stickers will soon make their way to the app which can be purchased in packs from the new BBM Shop. 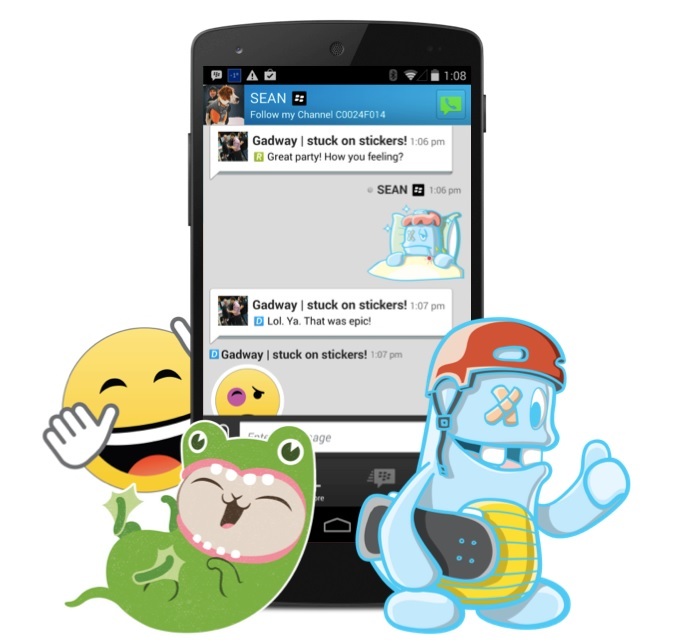 The stickers are currently being tested in an external beta and will roll out soon for users. Although there’s no word about the exact launch date, but it shouldn’t be too far. We’ll update you as soon as they are available.